A new study at the University of Jyväskylä, Finland reports that autophagosome content is increased by resistance training in previously untrained young men, but this response may be blunted by aging. Autophagy is a major catabolic route in cells responsible for the clearance of proteins and organelles. Pathological levels of autophagy are associated with muscle wasting, but physiological levels are important for cellular recycling. In the present study, indicators of autophagy and unfolded protein response (UPR), which is another system for maintaining cellular homeostasis, were investigated from the muscle biopsies after a single bout of resistance exercise and after 21 weeks of resistance training in previously untrained young and older men. 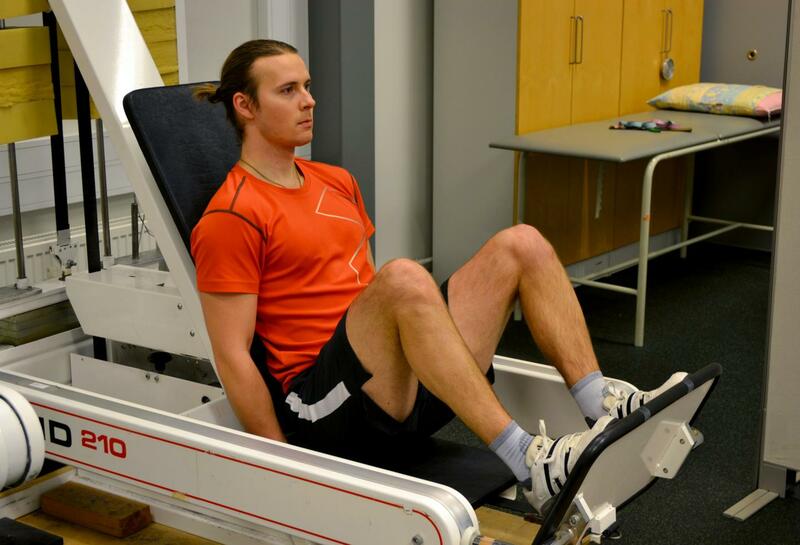 "Aging may thus blunt some of the positive effects of resistance training induced improvement in muscle quality," says PhD student Jaakko Hentilä and Academy of Finland Research Fellow Juha Hulmi. However, the researchers reported that UPR that is induced by the accumulation of misfolded proteins in endoplasmic reticulum (ER) was activated by a bout of unaccustomed resistance exercise regardless of age. Skeletal muscle appears to adapt to resistance exercise similarly in young and older people in many ways. The study was conducted in the Faculty of Sport and Health Sciences at the University of Jyväskylä in collaboration with researchers in Oslo. The results are published in the journal Acta Physiologica. The study was funded by Finnish Cultural Foundation, Academy of Finland and the Finnish Ministry of Education.